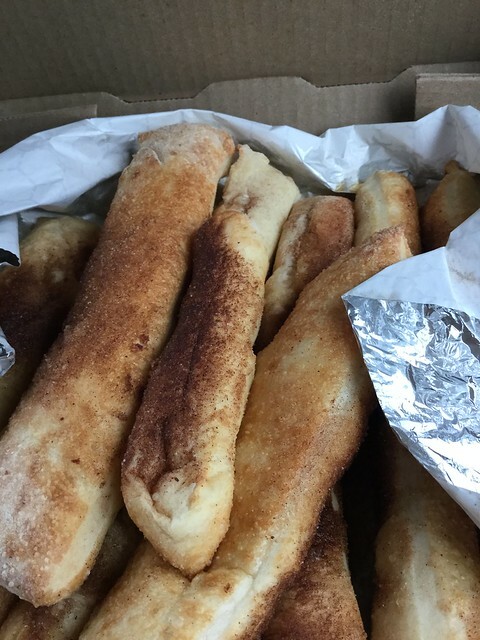 In a word: The hand-tossed crust of fate. JM and Nichole ate the Hawaiian, the sausage, and some cinnamon sticks. The bill was $23 plus tip. JM and Nichole gave Tano's a B (see our grading rubric). 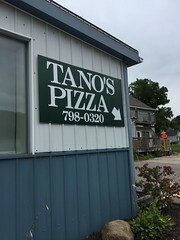 Tano's is right in the heart of Cross Plains. There's no table to speak of, so if you want a pie from out of town, you'll have to eat in your car or at one of the nearby park shelters. We got Tano's family meal deal with a medium Hawaiian, a large one topping (with sausage) and cinnamon sticks - hence tons of leftovers, but a wider sampling of the menu. The crust was nice and bready, and the sauces herby with a strong top note of oregano. 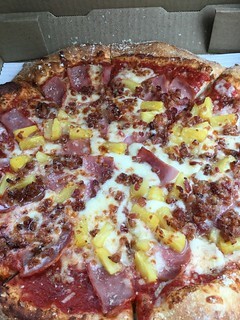 The toppings were plentiful. Everything was very delicious and warm - we both preferred the Hawaiian to the sausage. 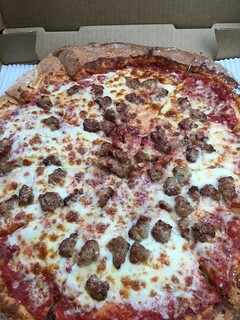 We'd sure as heck pick this over some chain 'za and know many Cross Plainers who agree. That said, if it were up to us, we'd keep the name of our pizzeria as far from the worst movie ever made as possible.